Enjoy FREE Signature Chocolate Truffles with purchase of this item when you enter code HDGWP at checkout. 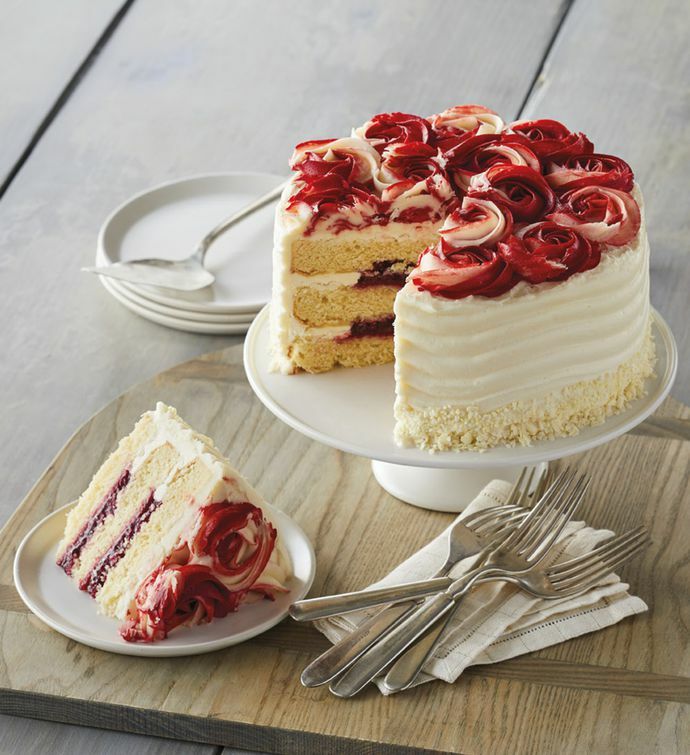 Add something sweet to any occasion with this beautiful and delicious rose cake. Three layers of vanilla cake and sweet raspberry filling are covered by white buttercream icing and adorned with red and white buttercream roses for a stunning presentation. Everyone is sure to love this delightfully indulgent dessert.